If you're thinking about starting a small herb garden or flower patch on your balcony, here are our thoughts on different materials, containers, and the pros and cons to each. There are many types of plant containers available to use on your balcony. You can buy them in garden shops, department stores, and often, even at the dollar store. Keep in mind, you don't have to use a container designed to be a plant pot. Anything that will hold potting soil, and you can drill or punch drainage holes into, will work as a planting container for your balcony garden. If you're thinking about starting a small herb garden or growing some mesclun mix for your salad, here are our thoughts on different materials, containers, and the pros and cons to each. Metal containers age well, and work nicely for both hanging and ground plants. Far more durable than terracotta, metal can also be easier to lift and adjust since most designs incorporate a knob or handle. The main disadvantage of a metal container is its insulation, specifically in warmer environments. The material heats up quickly and retains temperatures for extended periods of time, often drying out the roots of the plant. Metal is also non-porous, so when investing in a metal container, it's important to check for multiple drainage holes in both the bottom and sides of the pot. Be aware of what metal your pot is made of, as well. You also want to avoid toxins such as lead, especially if you are growing herb or vegetables to eat. Fiber-lined baskets commonly carry hanging plants, though they can sit on your balcony or porch as well. 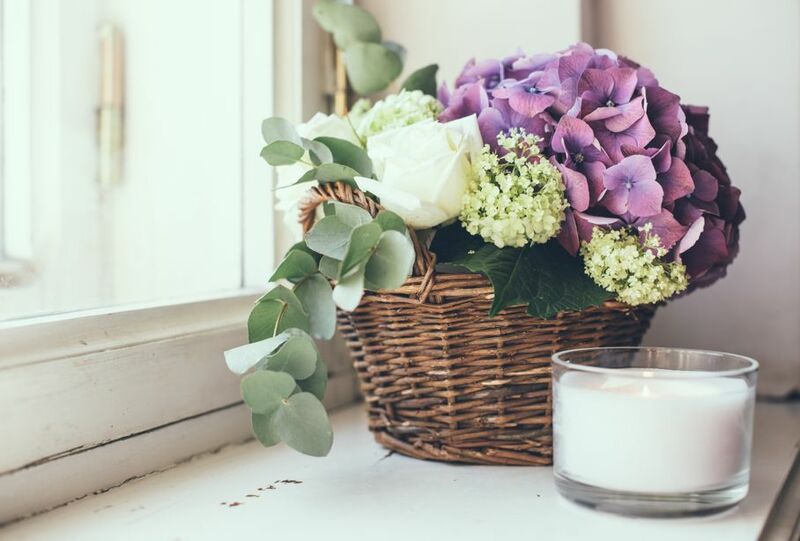 Baskets, very similar to terracotta, have a natural beauty to them and allow a plant's roots to breathe freely. Yet, they are so open and airy that watering them is difficult. While plants in fiber-lined baskets need watering at least twice a day, the water seeps through the sides, spilling more than will reach the plants. Typically, those who use baskets "line the liner" keep more water and moisture from escaping. To do this, insert a plastic bag with a few holes punched in it for drainage before you add potting mix. 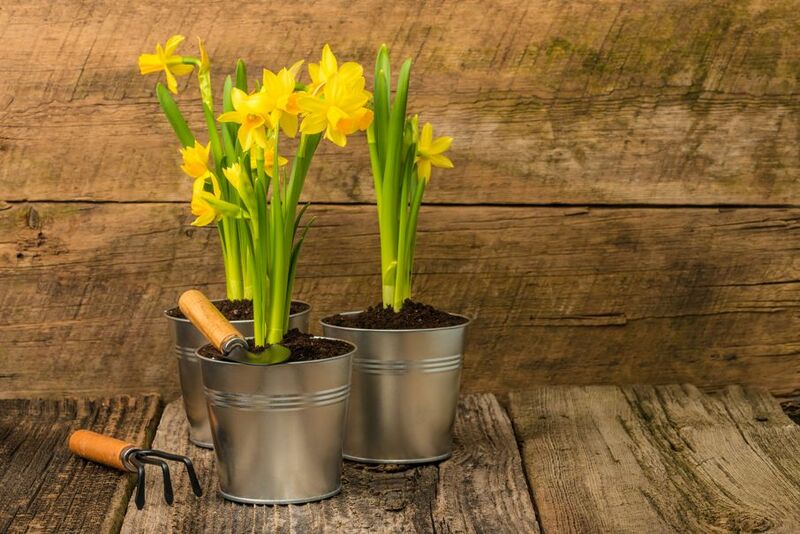 Don’t forget to make extra holes, as they will protect your plants from developing root rot. The key to using baskets as planting pots is to make sure you can water your plant efficiently while keeping things tidy. Placing a plastic pot or platter underneath your basket is another solution to control leakage. Plastic is the champion of balcony gardening materials. You can get plastic pots in hundreds of shapes and sizes, and they are easy to maneuver for readjustments and moves. With proper holes drilled in the bottom, plastic pots drain extremely well, and if you find that the pre-drilled holes are insufficient, simply grab a drill, and carefully make a few more. Color is the chief precaution to consider with plastic containers. 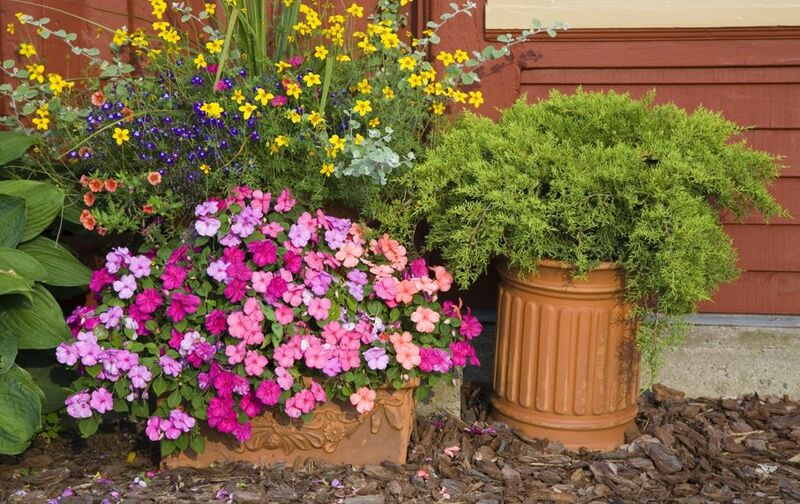 Dark colors retain heat and will cause a few more issue than light colored planters. Of course, you always have the option of painting the pot any color you'd like. A specific plastic container option for a balcony garden is a nursery pot. 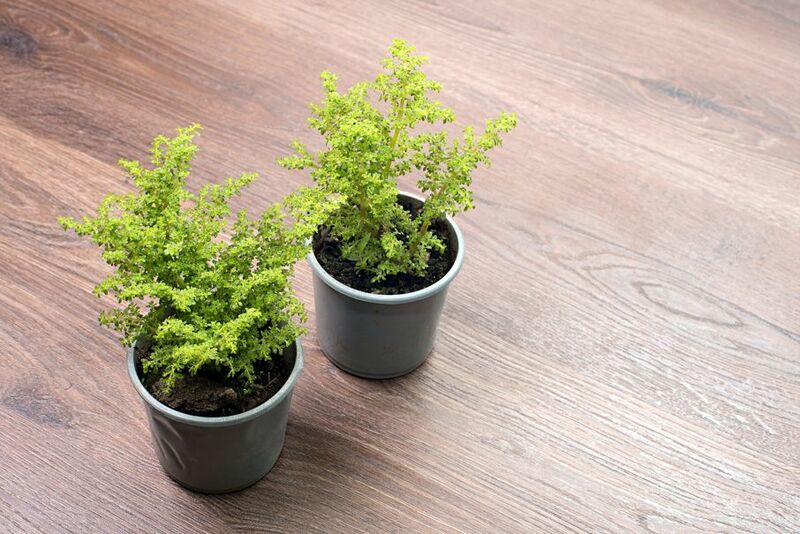 Though simple and minimal, nursery pots are usually the smallest possible size for the plant. Nursery pots are commonly black as well, so the issue of excess heat still applies. It may be tempting to create rows of nursery pots along your balcony railing. This is a good temporary fix, but for long-term solutions, regular sized plastic containers are a far better choice. If you want to garden on the cheap and creative side, fill your balcony pots made of from items around the house. 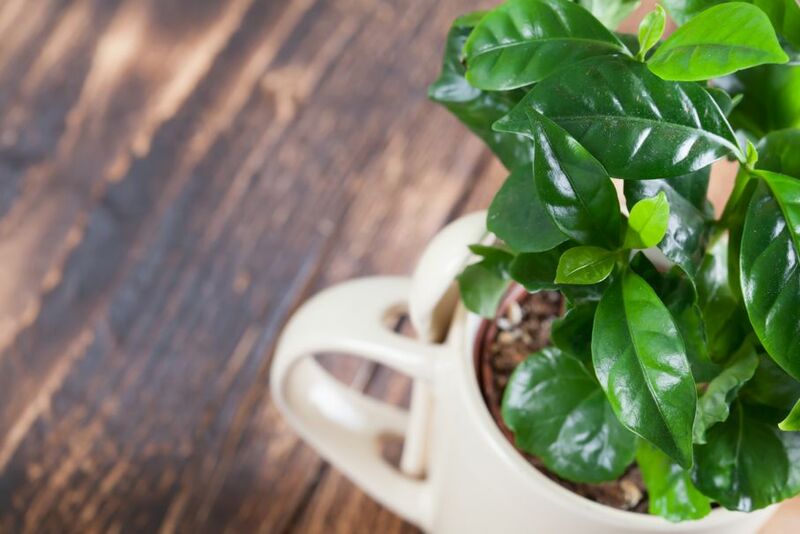 Coffee mugs, yogurt containers, gift baskets - nearly anything can be used to house a plant. Just add some good drainage holes and you're set. Re-purposed items also give you a chance to explore and create a garden that is diverse and unique. Use it as an opportunity to re-purpose "clutter" items. There are many ways to pot a balcony garden. With these options a to help you get started, the neighbors will be admiring your balcony before you know it. Images used with permission, courtesy of www.bigstock.com.